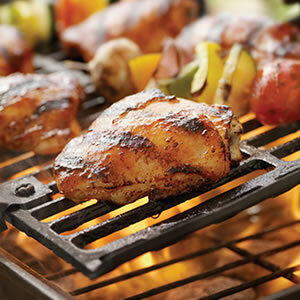 The longer, sunny days of summer offer the perfect opportunity to get together with friends and family for flavorful meals from the grill. 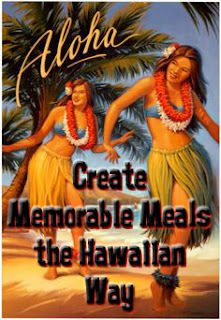 To host a get-together the Hawaiian way - where all of your friends, family and neighbors feel special - focus on a few well-chosen elements to make even the most spontaneous gathering seem like a carefully orchestrated event. The most experienced grill chefs know selecting the right bun is just as important as what goes inside. King's Hawaiian, the family-owned company known for its original Hawaiian sweet bread products, offers a lineup of Hamburger Buns, Sandwich Buns and Rolls to please burger-loyalists and slider-connoisseurs alike. Serve-up scrumptious fillingsOnce you have a great bun, there are endless ways to fill them. Try a light, fluffy and sweet bread to complement savory grilled burgers. Soft and sweet dinner rolls make the perfect pick for sliders. These small buns are great for grilled mini burgers or for something more exotic, such as this recipe for Hawaiian-style Aloha Chicken Sliders. For an added touch, quickly toast the hamburger buns and rolls on the grill for just a few seconds to create an irresistible combination of crispiness and sweetness. For other great summertime recipes, visit www.KingsHawaiian.com/recipes. Provide delicious drinks and appetizersWhile you're tending to the grill, keep your hungry guests happy with appetizers and beverages. Serve a classic spinach dip in a hollowed out sweet round bread. Treat them to tropical beverages like the ever-popular Mai Tai or the specialty of the islands, POG, made from passion fruit, orange, and guava juices. Open pineapple can and reserve two tablespoons for mayo. Place pineapple, soy sauce, garlic, ginger and sesame oil in zip-top bag and mix well. For sliders, slice each breast into four pieces and place into bag. Remove air from bag, seal and place in fridge for 6-8 hours. In small bowl, stir together two tablespoons pineapple, mayonnaise and vinegar. Heat grill to high. Grill sliders for four minutes on each side. Top with cheese. Cut rolls in half. Spread bottom of roll with pineapple mayonnaise; add tomato slice, lettuce, chicken and the top of roll.